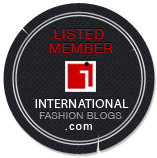 The Architect of Style is a personal style blog focused on fashion, art & lifestyle. Gissi Jimenez is the head editor & fashion illustrator for The Architect of Style. Gissi’s has collaborated and made illustrations for beauty and fashion brands Bloomingdale’s, CHANEL, Dolce and Gabanna, Saks, Macy’s, Charriol Jewlery, Covergirl, Victoria’s Secret & Mia Shoes, doing special collaborations with fashion illustrations for events and their social media. In addition my illustrations have also been featured on the Valentino instagram and Manolo Blahnik instagram page. And she has been published on Key Biscayne Magazine, Latina Magazine and Glam Latina Magazine. Planning Manager in Miami, Florida. Her remarkable training has allowed her to develop a unique minimalist style having a fine eye for all things design and properly shown in all her artwork & fashion illustrations. If you would like to collaborate feel free to contact us by email to thearchitectofstyle@gmail.com and you can get more info about services offered and stats by downloading our Press/ Media kit here and also check out our Featured On and Press page here.